We understand that producing great tasting food has to be supported by unrivalled customer service. 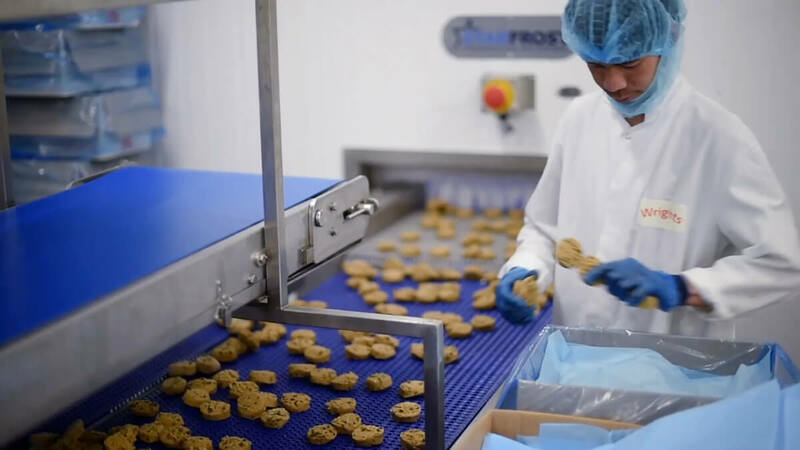 Whether our people are working in food development, production, distribution or sales and marketing, they are committed to providing a reliable, consistent and dedicated service to all our customers. We make a huge variety of food – and many of our products have been inspired by cuisines from around the world - but it doesn’t mean that we stop creating new dishes to add to our range. Our development kitchen and innovation suite, coupled with a team of highly skilled Chefs, ensure that the food we produce not only reflects ever changing consumer trends, but also meets the individual requirements of our customer base. The savoury range can be supplied frozen baked, frozen unbaked or chilled, offering total flexibility for your business. Film wrapping options also provide convenient packaging solutions. Whatever your requirements, we are confident we can provide a high quality, market-ready solution. If you have a food idea you’d like to develop our collaborative approach will help bring it to the table. We have a passion for great food, and each one of our dedicated employees will go the extra mile to make sure that you get a first-class service to match. We work hard around the clock to ensure that our products will reach you looking and tasting their best every time. From the factory floor to the boardroom, we take great pride in having the knowledge and skills to make sure our high standards are maintained. Wrights Food Group started out as a family business, and we have always remained committed to our founding principles of quality, innovation and integrity. If there is ever a problem, our staff are only too happy to help. Over the last 20 years, we have invested more than £40 million in our state of the art manufacturing facilities and distribution centre. This has enabled us to improve our efficiencies, reduce waste, and bring in greater operational flexibility. Our bakery complex produces more than 3 million savoury products every week. The 40,000 sqft confectionery factory produces up to half a million donuts a week and 30 million cookies each year, alongside dozens of other products. Whilst scale is important, we never lose sight of the need to provide added value and quality for our customers, which is why many of our products are hand finished and individually crafted. Our food is enjoyed by a wide and varied client base across the UK as well as 26 overseas export markets.